Prevent the next 4 damage that would be dealt to target creature or player this turn. Cycling 1W (1W, Discard this card: Draw a card.) 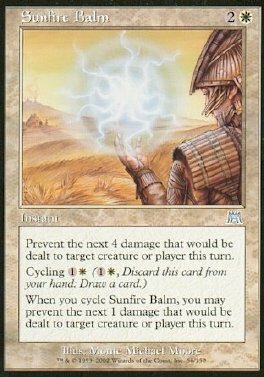 When you cycle Sunfire Balm, you may prevent the next 1 damage that would be dealt to target creature or player this turn.